GROUTING & ANCHORING MATERIALS - MUHU (China) Co., Ltd.
2. It’s mainly used for anchoring of the equipment foundation bolts, anchoring and shot concreting project in tunnel works, etc. 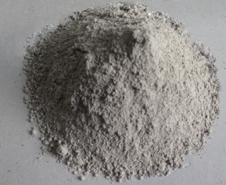 MUHUFlow 1205 is a cement-based pumpable grout with specially graded aggregate. It produces a pumpable, nonbleeding, high-strength fluid product with an extended working time. The specially graded spherical aggregate mitigates chloride migration while still allowing the product to be easily pumped over long distances through small openings. MUHUFlow 1205 meets all the compressive strength and volume change requirements ASTM C 1107 (CRD C621) at a fluid consistency.